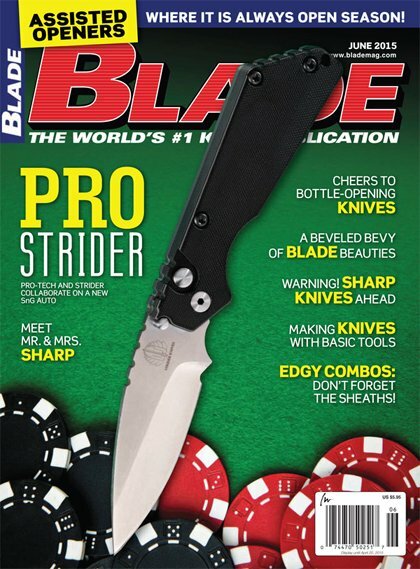 Blade Magazine recognized the special nature of two family owned USA made brands collaborating with the June 2015 front cover. 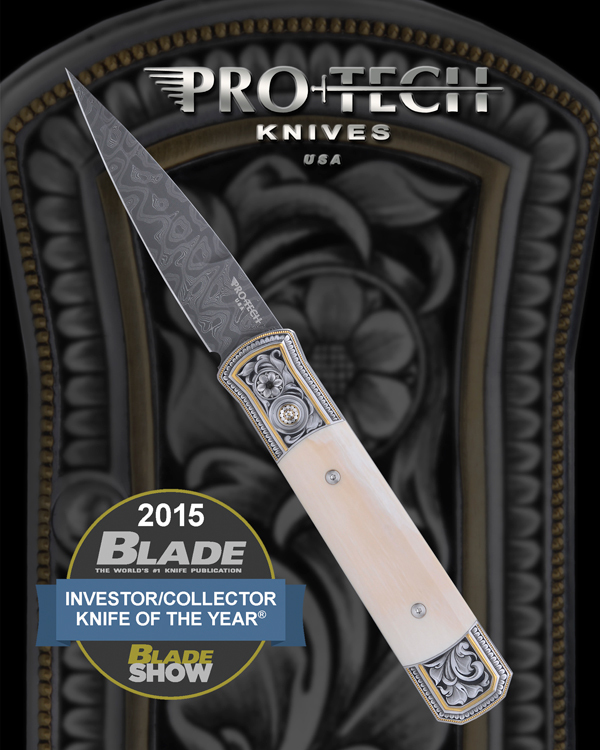 Our 4th Blade Magazine Investor/Collector knife of the year award winning knife! A very limited group of these knives will be built. Individually numbered of only 10 knives. Hand satin finished 416 stainless steel frame, pre-ban ivory inlays, mosaic pin push button, incredible hand engraving and gold work by Julie Warenski. Knife is packaged with custom wood presentation box. We will only receive one engraved knife back from Warenski every few months. Please let us know if you would like to be added to the pre-order list to own this very special collector knife. 2018 Investor/Collector Knife of the Year! NEW TR-5 AUTO! SHOT SHOW 2018 Introduction! And the winner is…… Cambria!